Art Battle Chengdu Live Painting: Call for Artists! 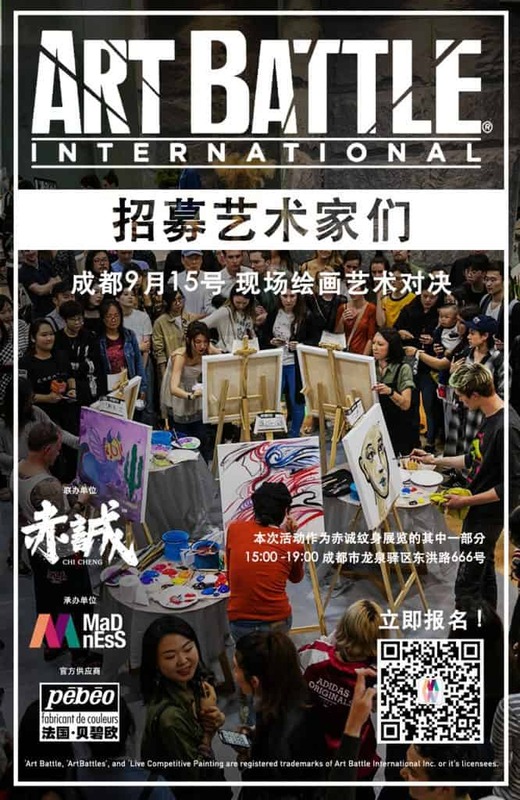 Madness & Chi Cheng are calling for artists to apply for the first ArtBattleInternational® event in Chengdu! ArtBattleInternational® Chengdu will happen on the 15th of September, as a part of Chi Cheng 2018, the biggest tattoo exhibition in the city. A cheering audience moves among the painters and votes for the best ones to advance to the next round. At the end of the night, there is a single winner. Yet, all of the art is auctioned to the audience. The thrill is always enhanced by drinks and snacks at the bar and by a live DJ playing hip mixtapes. We are looking for 12 painters to come and create the best work they can by only using acrylic paint across 20 minute rounds of public painting.